One of the most instantly gratifying things in poker is to look down at your hand and squeeze out a monster hand. These hands can be broken down into being those that are pocket Jacks, through pocket Aces. While these are great starting hands to see, you can’t just play them with no regard for your opponents or the board. You need to be aware of things like your position in the hand, and all of your opponents who you are facing. Slow Playing Can Lead To Disaster! A lot of people want to slow-play their monster hand before the flop, however this is not always the best idea. If you are going to use this play, you really need to have a great idea of how your opponents are playing and be able to put them on a hand. When you slow play a big hand, you are letting the other players into the hand for a good price, and those players who are holding hands such as small pairs, and suited connector hands have a chance to improve. These are players that would have folded to a raise before the flop. If you make just a call from middle position with Ks – Kh, 4 players head to the flop, and the flop comes Ac-Jc-10c, you are more than likely in pretty big trouble. With it being a multi-way pot, there is a very good chance that someone has a club, or a straight already. Slow playing can be very rewarding, but it is a big risk. If you are comfortable with the flow of the table, you can at times slow play pocket Aces, only because there is no possibility of an over-card coming on the flop. When the flop comes you need to obviously be very cautious of flush and straight draws. Generally, you always want to raise with your big pairs. Bet sizing is important here, as you want the middle pairs calling, but those with a weak Ace, or suited connectors folding before they get a chance to improve. You can play Aces in a variety of ways from this spot, because unless the flop has straight or flush textures, you will still be way ahead 9 times out of 10. 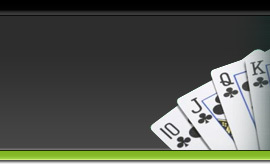 If you are playing Jacks – Kings, raising before the flop is a must. This puts you in control of the hand from the start, and if an Ace hits, you can usually take the pot down with a good continuation bet representing a strong Ace. 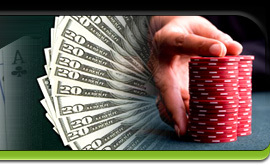 In these positions at the table, you are able to slowplay your big hands a little more comfortably. You will have the added advatage of most or all of the action being before you, and have a good idea of what they are holding bassed on their betting patterns. If you raised pre-flop with your big hand, you should not be facing more than one or two players in the pot. Before making your decision, you should take some things into account. Are your opponents playing a tight, passive game, or are they being aggressive? Would your opponent have called your raise with a hand like a weak Ace? What is the flop holding, any draws? If you are currently beat, how many outs do you have? Sometimes, you are a little unsure and will need to find out where you are at in the hand, and you can do this with a feeler bet. Making a bet around half, or 2/3rds the pot wil let you know. If the flop holds an Ace, and you have KK, and your bet gets called quickly, you can be pretty sure your beat and either surrender the betting or hope to check through. If there is hesitation from the other player, you can consider that your opponent is on a draw of some sort, and can play the turn with confidence, knowing where you stand. The biggest mistake players make with big pocket pairs is not being able to let them go. Do not feel like you are pot committed just because you raised pre-flop, especially when you are clearly beat. In Hold Em, having a big pocket pair is nice, but doesnt do much good against a flopped nut straight.